Holi the festival of colours is great fun with friends. I made finger foods as it goes well while watching television. I started the meal with red wine and fried peanuts. 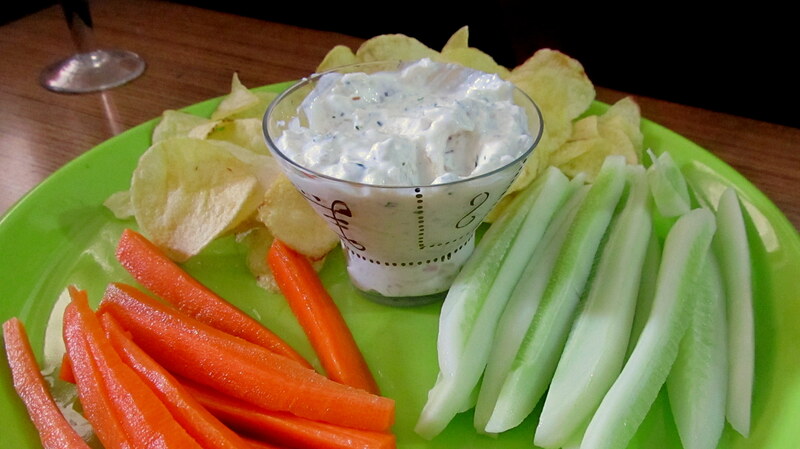 Served a curd dip with carrots n cucumber and wafers. This was followed by Nachos. 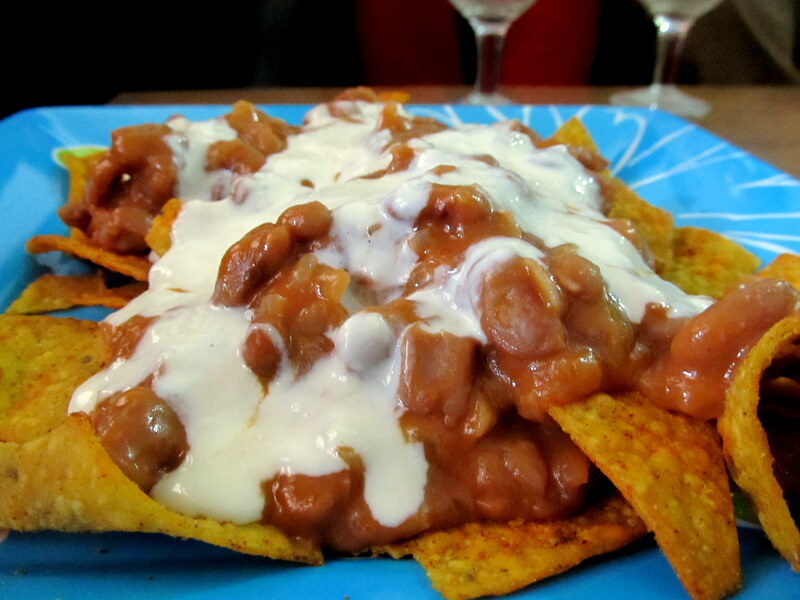 I served these with refried beans and cheese. 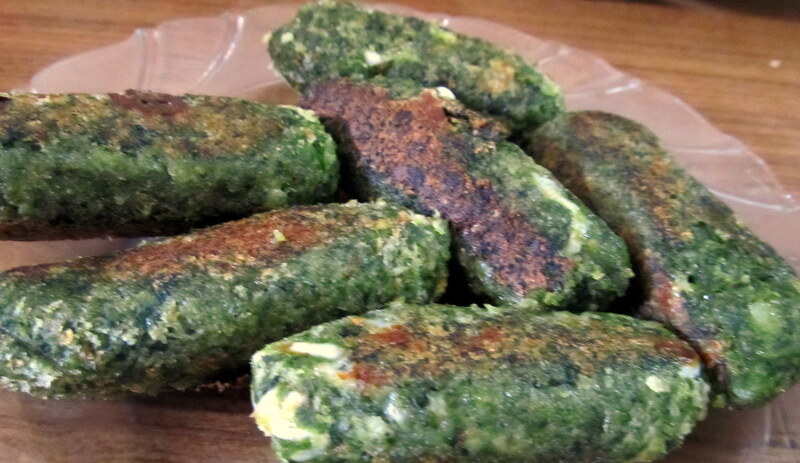 Two helpings later, palak (spinach) rolls with cheese stuffing. Then followed Chicken fry and potato pattice. The chicken fry was a take-away from a restaurant close-by and the pattice were courtesy a friend. I forgot to take pictures of these as I was much to busy eating the pattice. 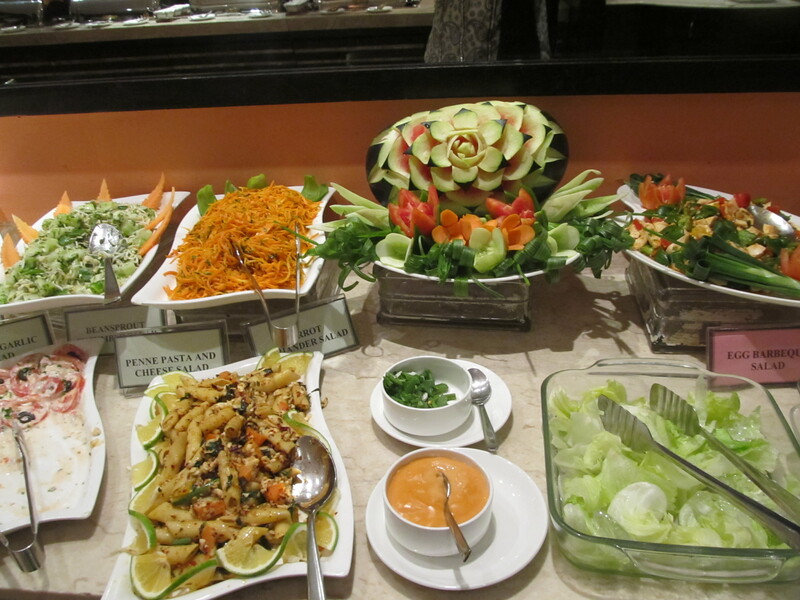 All this food was enjoyed by India playing very well and seeming to win the match and good conversation. We then ordered pizzas from Domino’s. All of us were really satiated but wanting the dessert. It was a great day well spent.. India won the match. Everyone enjoyed the food. I think everyone went home early evening and slept. 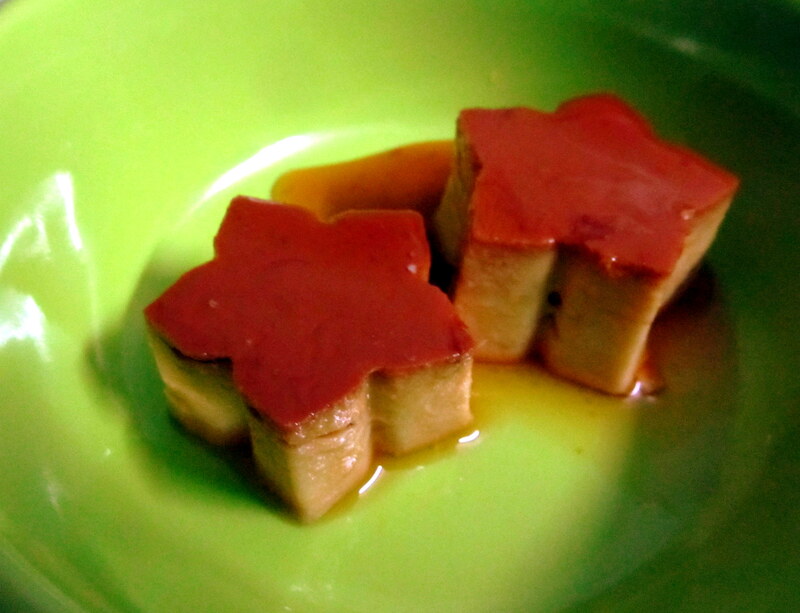 My cook made these at home one day. I told him I wanted something as a healthy snack and he suggested these. 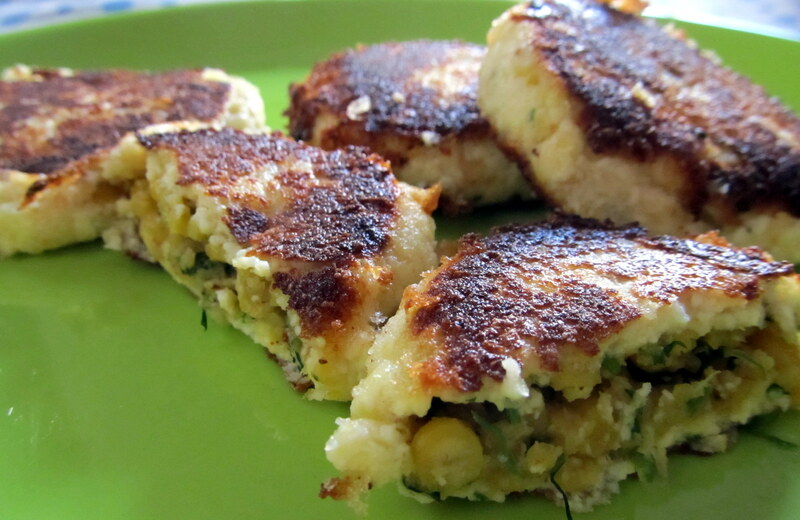 These dal tikkis have a filling of spiced up chana dal and are stuffed inside a ball of mashed potato and bread crumbs. To make it a healthier meal, instead of deep fry, I lightly pan-fried them. They were really good. Since then, I have learnt the recipe from my cook and have made them on a couple of occasions. From the past 2 months I am totally into rolls. Rolls are also known as pattice, patty, tikki or croquettes, depending on the geographic location you are situated at or the shape you give the mixture. Usually if its round, then its pattice, patty or tikki. 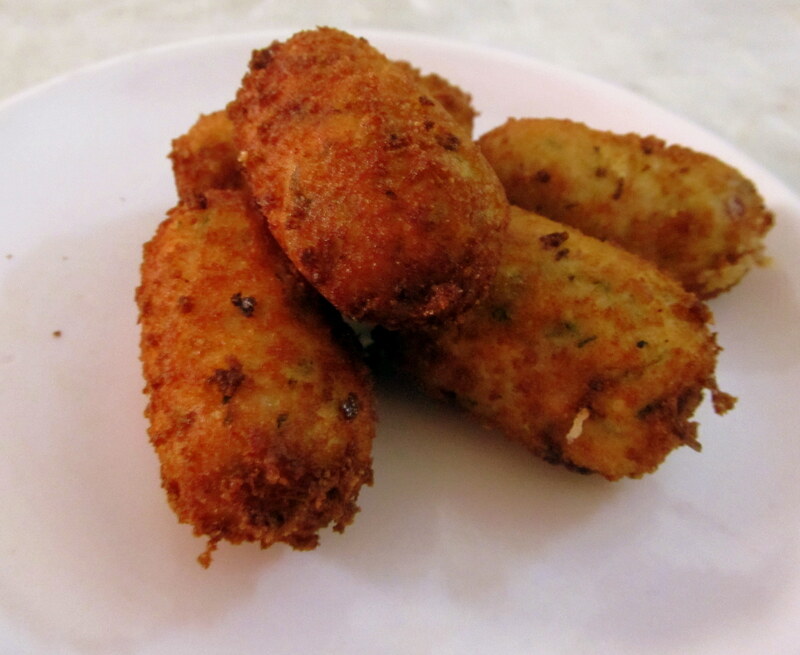 If its cigar-shaped, then its called a roll or croquette. Its amazing what one can do when making a patty – anything goes. The beauty is that mix together any 2-3 ingredients and fry them, the pattice always turn out great. 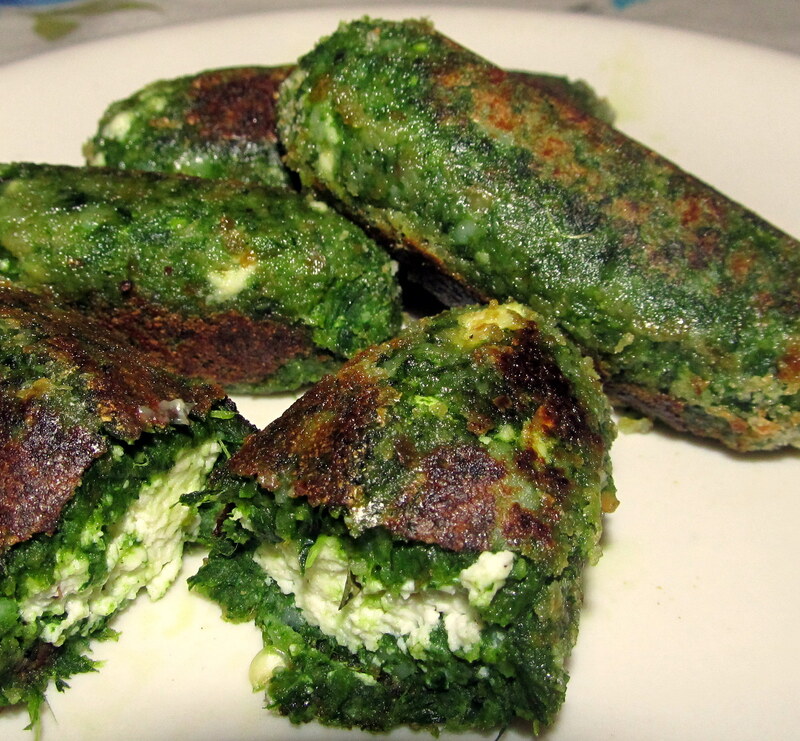 Lightly flavoured spinach with stuffed paneer. Yummm…. My family and I really enjoyed this snack. It was so well seasoned that I would expect this dish to be served to me at a 5-starred restaurant! Kudos to my cook. I made this again within a week. Since I enjoyed it so much, he suggested I try these rolls stuffed with cheese instead of paneer. 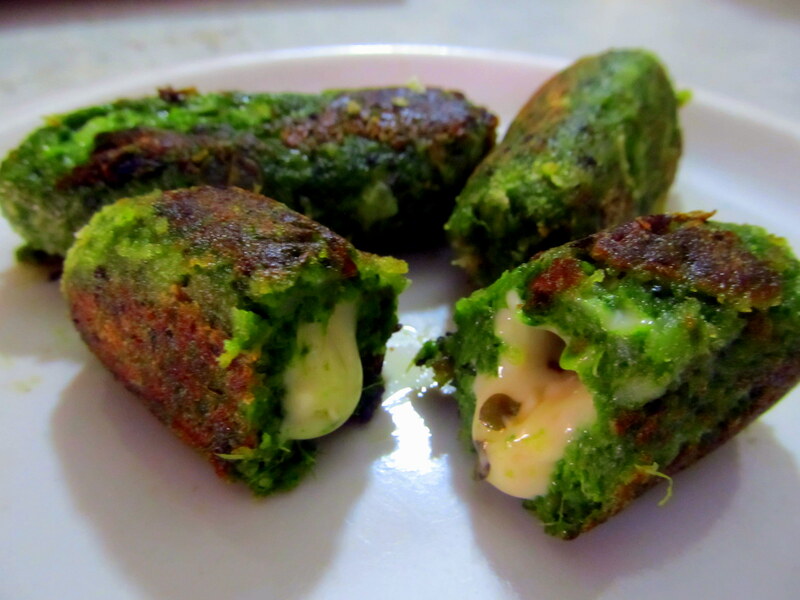 So some days later, we made the same spinach rolls but stuffed it with cheese. Ah…soft spinach with a small burst of spiced, liquid cheese in every bite. Life is beautiful – I thought at that moment. This is the second time I’ve made these at home. The first time was almost 2 years ago. I’d totally forgotten about this recipe, till I found myself wanting to eat tikkis, wherein the potatoes were no longer the main ingredient. I got this recipe from a tabloid years ago. I had it filed and kept away. 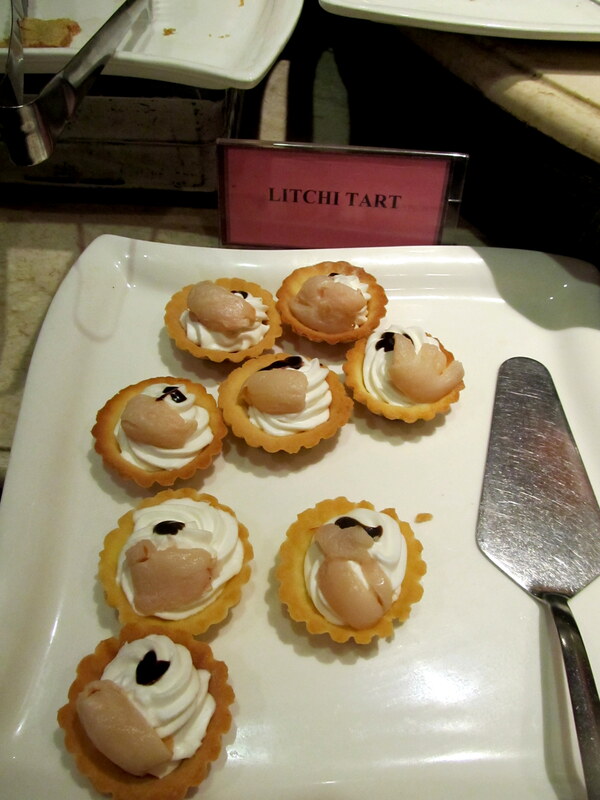 Big Mistake, ‘cuz they are yummy… Serve with green chutney and enjoy. My family really relished these. He is an absolute caramel pudding enthusiast. 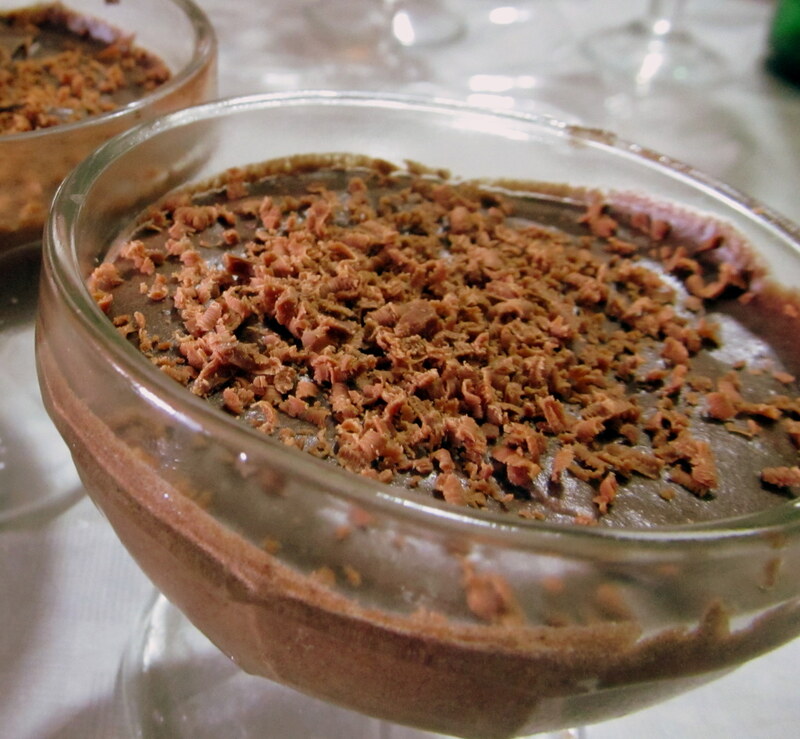 I’ve eaten the pudding a few times but was never really inspired enough to make it at home, till recently. Ah. Diwali and the New Year celebrations are just over but the hangover remains – with lots of mithais, dry fruits and gifts yet to consume! Had a great Diwali. Decorated the house with rangoli, toran and diyas. For breakfast, we had a Sindhi dish called Dal Pakwan. It is well spiced chana dal served with deep fried maida crispy puris. Its absolutely delicious and sinful at the same time. 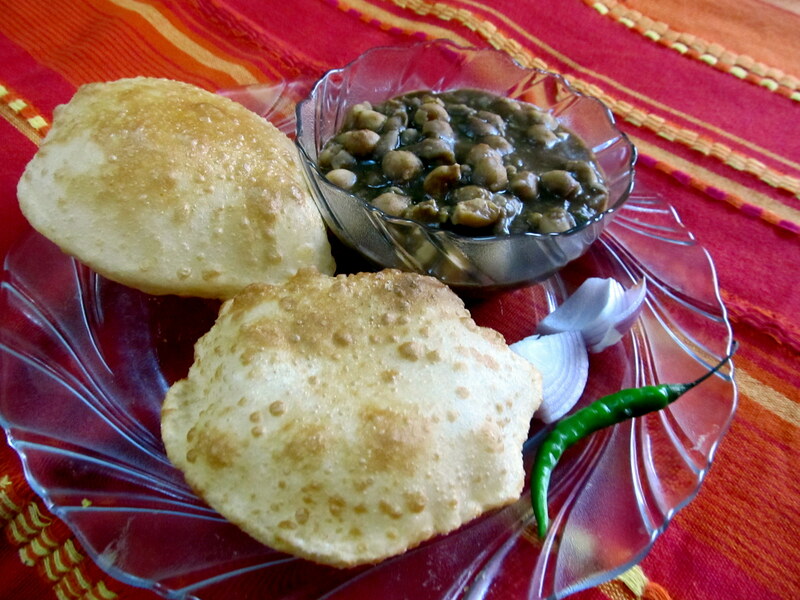 Lunch was Punjabi meal of Chana Bhatura, served with thickly sliced onions and green chilies – an outright deadly combination – we love it! 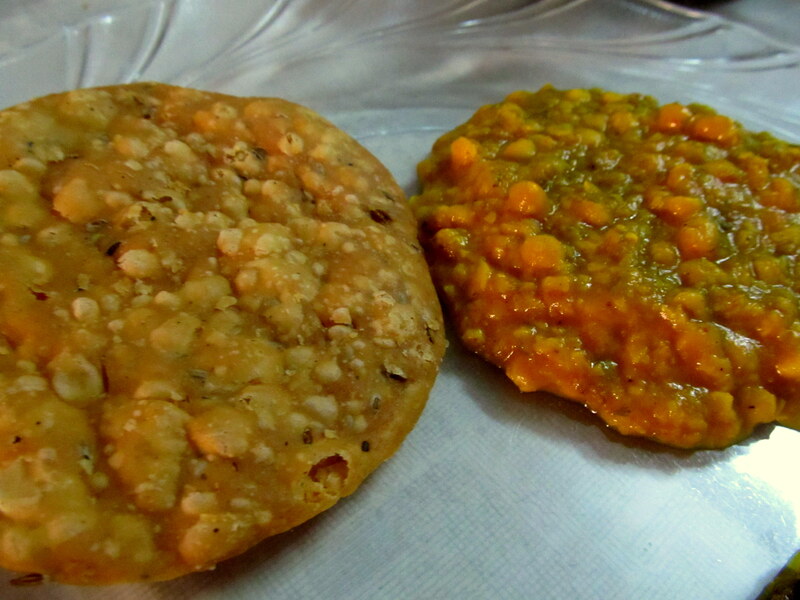 Well, we were unconditionally full, but a day like Diwali cannot be let go without something sweet. 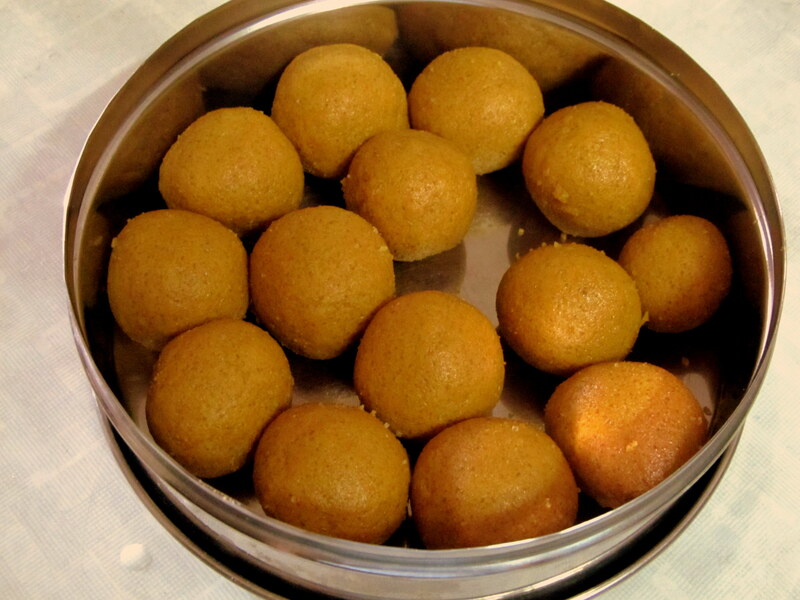 So, I made and served besan laddoos. After such a lunch, we could do nothing more than nap away for an hour. The first half of the meals were so filling that the pani-puri I made for the evening snack had to be eaten the next day. We stuck to a light dinner as the following day was our New Year and we were going visiting to friends and family’s’ houses to wish all a good year ahead. I’ve always wanted to go to Fariyas for a meal. Somehow, over time, it never materialized, till recently. 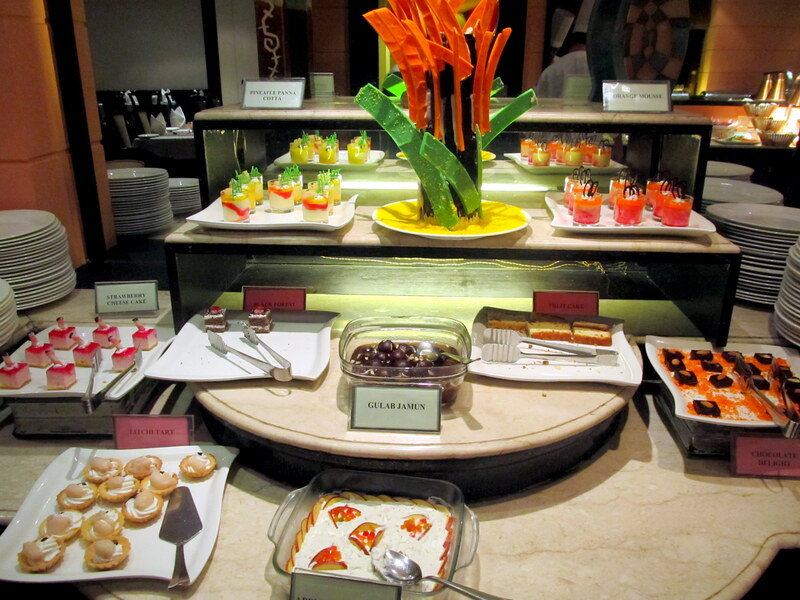 Went for dinner – opted for the buffet. Surprise was, that there is live music. Simple, soft and nice. 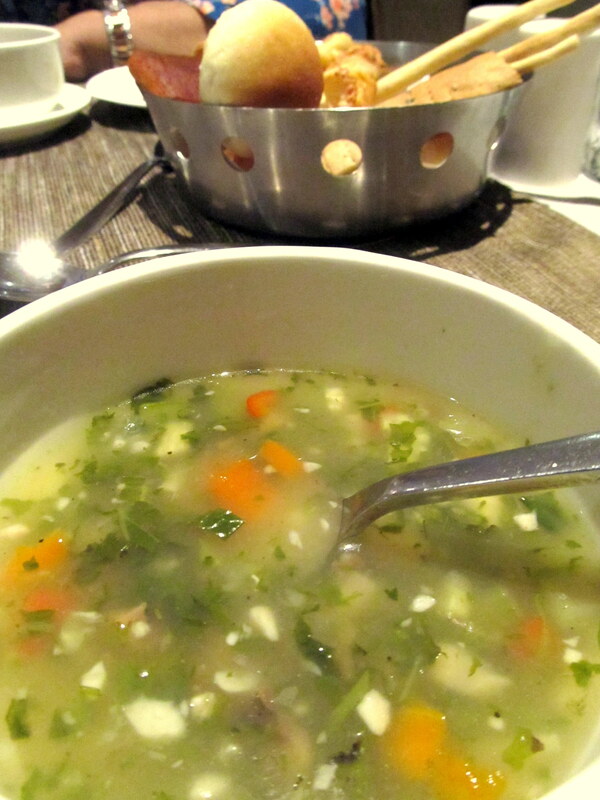 Started with the soup. It was served on the table. Good Jade Garden soup. This was accompanied by a good basket of assorted fresh n soft breads. After the soup, got myself a plate of salad. Wow! Yum…If this is the kind of food they serve here, I feel bad; I haven’t visited this place earlier. The salads are amazing. 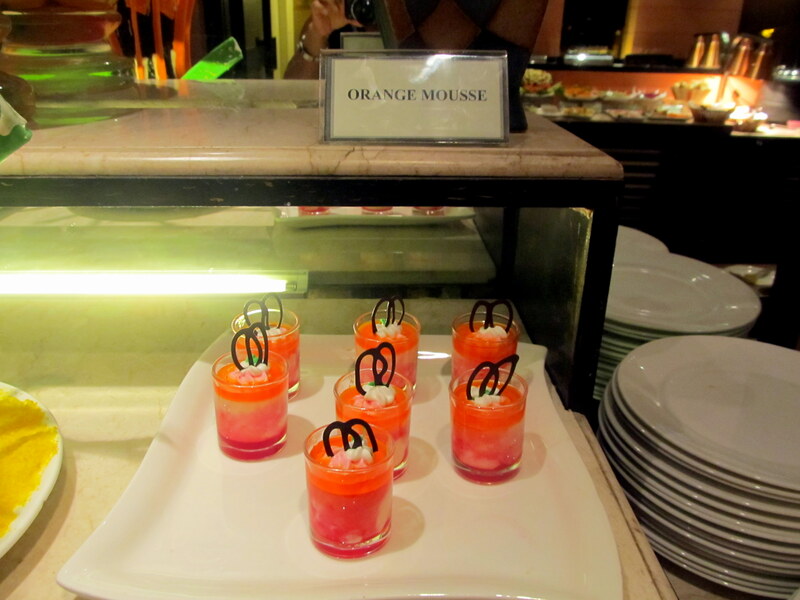 All of them have a distinctively different flavour and seem absolutely fresh. The beetroot salad was just fantastic – though beetroot, it did not have its stark flavouring. The carrot salad was exciting on the palate. So was the cucumber one. The pasta salad too was great, but it was strongly spiced with garlic. Next, was the main course. 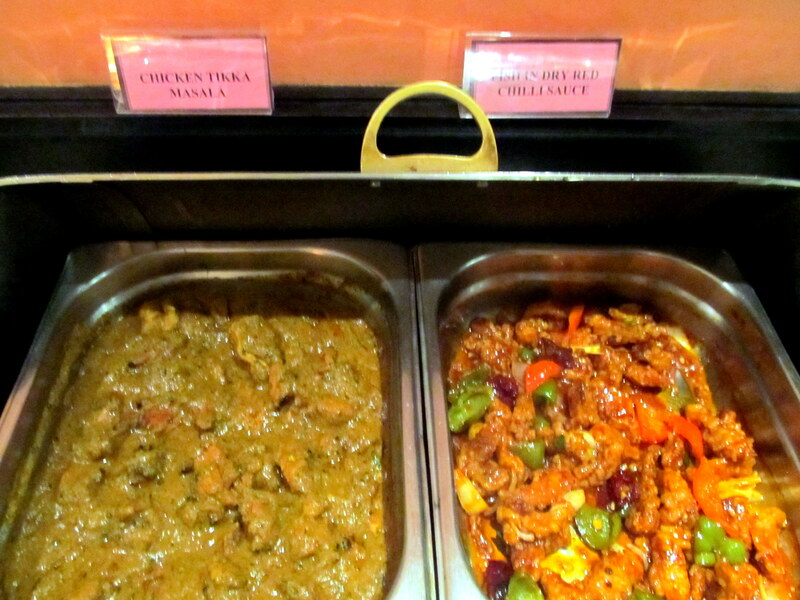 Again, here the spread was amazing, beef, fish, and chicken for the meat lovers. Though we were 5 persons at the table, everyone was vegetarian due to religious reasons. In vegetarian, the Basil tossed potatoes were fantastic. 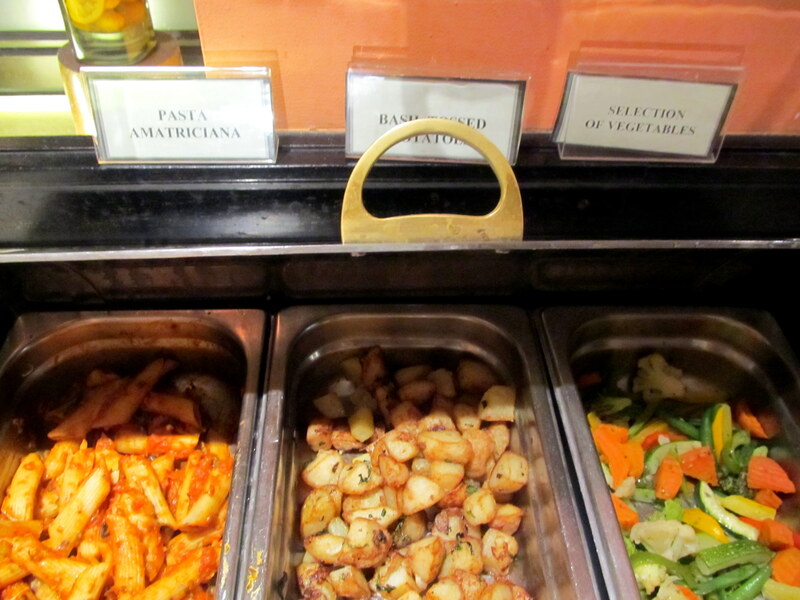 The pasta Americana looked very appetising and I took a big bite – Aaaa….What’s this? Cloves??? 2 pieces of cloves in one bite? And it’s not that they were coarsely powered – they were whole. It a serving of say about 5 bites, I found almost 7 cloves and 2 whole peppercorns! What’s happening? See my plate. 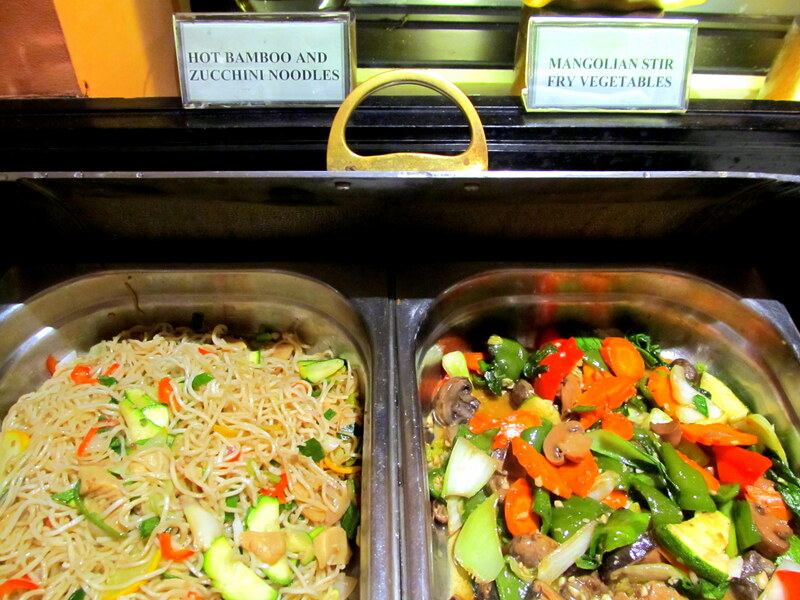 The Chinese was like a regular fare – cannot really go very wrong with Hakka noodles and veg stir fry. 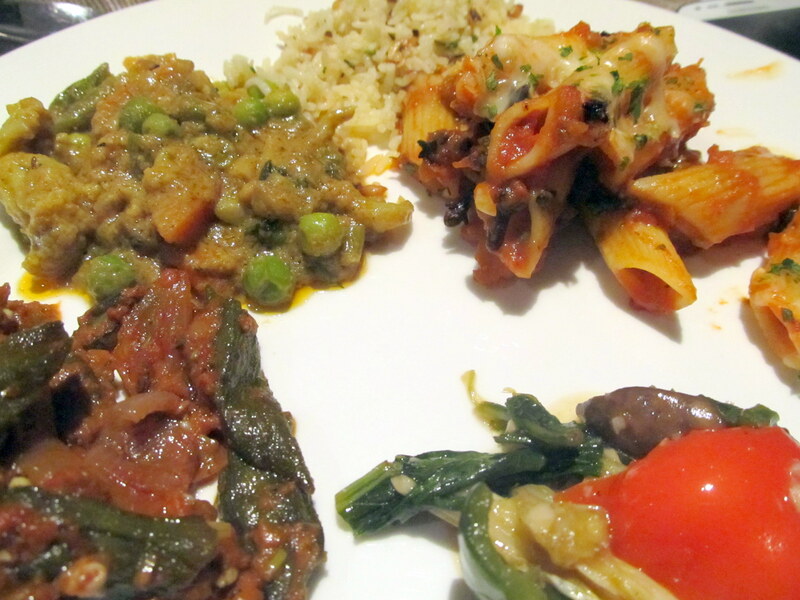 The other main course vegetarian dishes were very average. Actually below average as each of them was heavily spiced with garlic. I like my food well spiced but garlic to be at a minimum. Here, it was the other way round. The main course was thus an absolute downer. However, I knew from the looks of them, the desserts would be a redeeming factor. Oh. What a let-down! These looks could really con anyone. 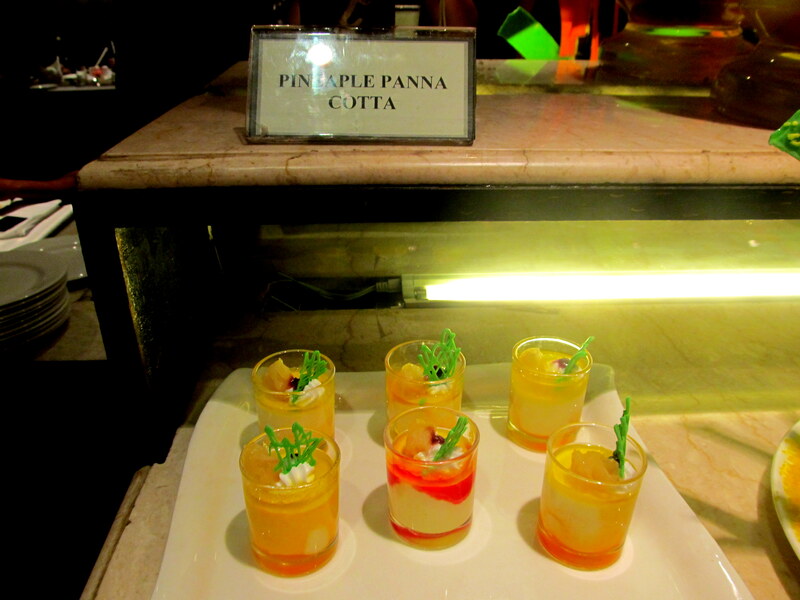 From the complete spread only the Gulab Jamuns, Pineapple Panacotta and Orange Mousse were decent. Priced for Rs. 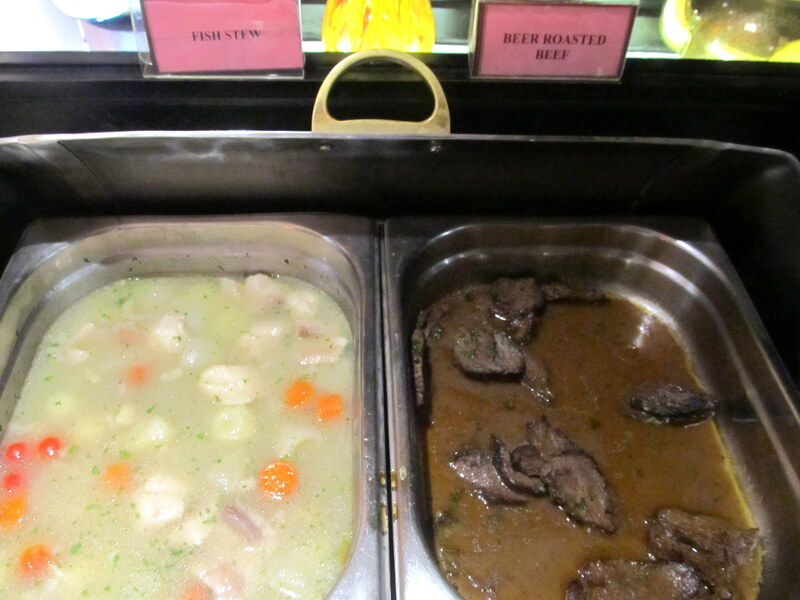 940 (including taxes) for a dinner buffet, I do not recommend this place, atleast for a vegetarian.